The Judo Event at the 2012 Paralympics Games began on Thursday 30 August at London’s Excel Arena featuring athletes who are blind or have a visual impairment. After the successful Olympic Games for Europe, the market share in medals increased compared to 2008. A study since 1996 shows the top nations in judo. 2012 GOLDEN STATE OPEN: "BRACKET SHEETS"
I am a Judoka from Southern Califorina. I've been studying for about six months, but online from dvd's with my partner. We're looking into earning rank. Does anyone know if there are any distance learning programs where you can test and earn rank online? A few days after the end of the Olympic Judo Tournament, the time has come to analyze everything that happened in London. 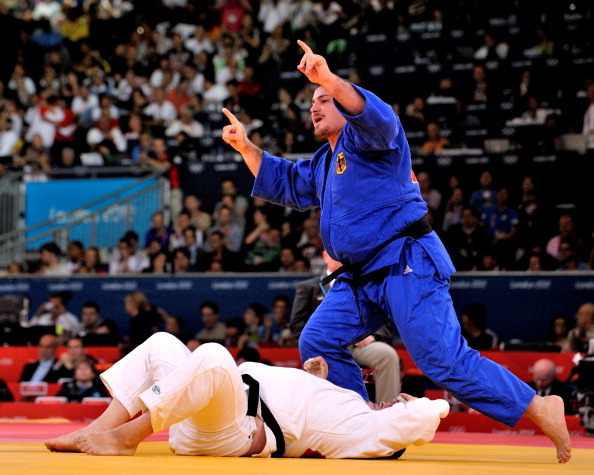 The judo world is now entering a new cycle, which will end with the 2016 Games. 573 - number of shido (penalty) given to competitors during the seven days of competition. London 2012 Olympics: Dutch judo champion Edith Bosch acted out of 'emotion' when she hit 100m bottle thrower!! !